Iain Ayre contemplates a Marcos for a European tour. 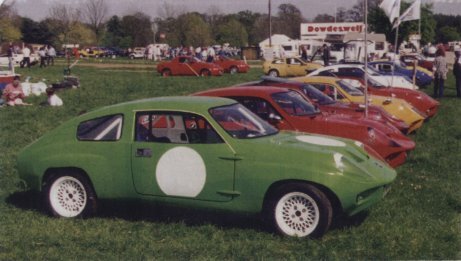 This rather old photo of the Mini Marcos stand at Stoneleigh appears in a preview of the Stafford Show and also in an advertisement for the show. Pete Crudgington’s Mk. IV is in the foreground.